Arctic fox: delicate, scary, sweet, tickling in the palate and decorative! Peas is very tasty and one of the royals among spicy food decorations. A must if you have not yet tried a pea shot earlier. Arctic foxes are available in several different types; those with the cling and those without the cling. “Poor manparris”: Pretty and small comic, but also misleading about scotch without clinging. Available as pale and chlorophyll-filled vitamin bombs! Are you a breeder, you can grow herbs in great variety! Using black can greatly affect sweetness, fiber content and chewability and appearance. In short: a crop with great development potential! In cultivation we have measured yield differences from 1: 2 to 1: 4 (1 kg of seed can give up to 4 kg of cut shots). Crucial to a successful product is the firmness of your peas. 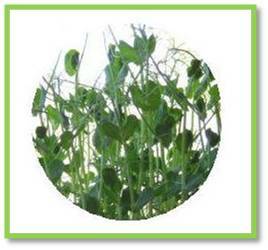 Also find a great variety of water absorption and flavors … from sweet to more shallow peas. Do you want the best and avoid unnecessary problems? Contact us at Agortus and we will give you a broader insight. Try a pea salad with chopped scallops mixed with crumbled feta cheese, peeled with olive oil and crushed lime! Peas like candy or wok! Peas are also included in various mixtures, e.g. ärtmix! Green, yellow, white peas. Candy you feel good … can be eaten unlimited without visible effects around your waist!